A person with an underbite has a lower jaw that protrudes over his upper jaw. In general, they have lower front teeth that may partially or fully cover their upper front teeth. This issue can be caused by skeleton problems in the jaw, jaw bone alignment, or as a result of some early childhood behaviors. With an underbite, eating, speaking, and breathing is hard so sufferers need to get treatment options like braces to realign their jaw or teeth. Underbites can cause some problems as people age without intervention. Potential complications that result from an untreated underbite include jaw pain, increased wear and tear on the tooth enamel, tooth decay, abnormal tooth alignment, and more. Also, Temporomandibular Joint (TMJ) Syndrome can also arise from an underbite. With this condition, the sufferer feels serious jaw pain. The TMJ connects the lower jaw and skull. This condition can cause head pain, ear pain, neck pain, and facial pain. Also, it makes it hard to chew and quite painful to open and close the mouth. Braces. Adults who are suffering from an underbite usually require surgery. In a lot of milder cases, extracting teeth or using braces can help adjust the teeth and jaw to make a more natural jaw position. Often, braces are used along with surgery for a complete adjustment. 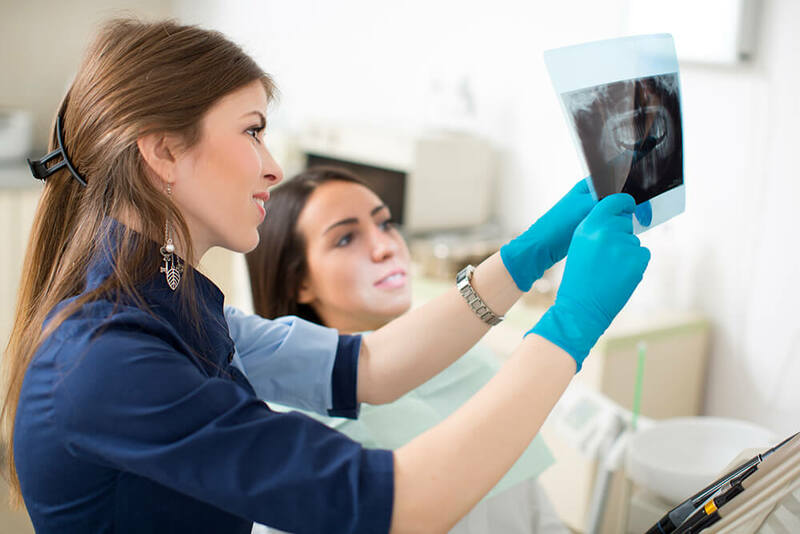 Depending on how serious the case is, the surgical correction includes pushing back the lower jaw, pulling the upper jaw forward, and adjusting both accordingly. Using an upper jaw expander. This involves the use of a turnkey assisted plastic and wire devices in the mouth to expand the upper jaw overnight for one year. Often, a retainer replaces this device. Using a reverse-pull face mask. This device wraps around the head and attaches metal bands to the upper rear teeth in order to pull the upper jaw into place. Usually, this device is used when an expander does not work for an individual. Whether you or your loved one has an underbite, it is important to get a full treatment. You do not want to live with the problems that can arise from an untreated underbite.